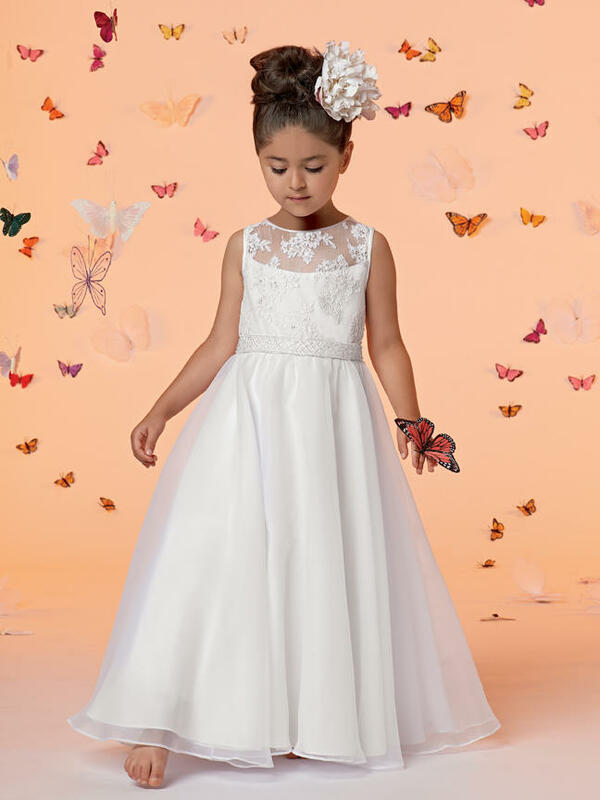 Shown in White/White�Lace bodice with sheer neckline. Full ankle length circular organza skirt. Beaded band at front waist with ribbon ties at back. Available in ankle and floor length. Available in any 2 colors. 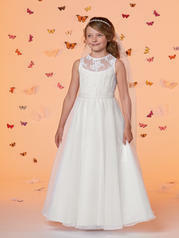 Available in any Organza dress color in combination with any beaded Ribbon color.